Spain international Ander Herrera admits that he is back to full fitness after having recovered from the minor rib injury sustained during Manchester United's friendly against Real Madrid in July. Herrera was subbed off just six minutes into in his second half appearance against the European champions, and Jose Mourinho initially had doubts that the injury could be much more serious. Former Chelsea midfielder Nemanja Matic has revealed that Jose Mourinho was an important factor in his move to Manchester United. Indeed the former Chelsea player won the league under Mourinho when the pair was at Chelsea and said that he would be looking for more with Manchester United. 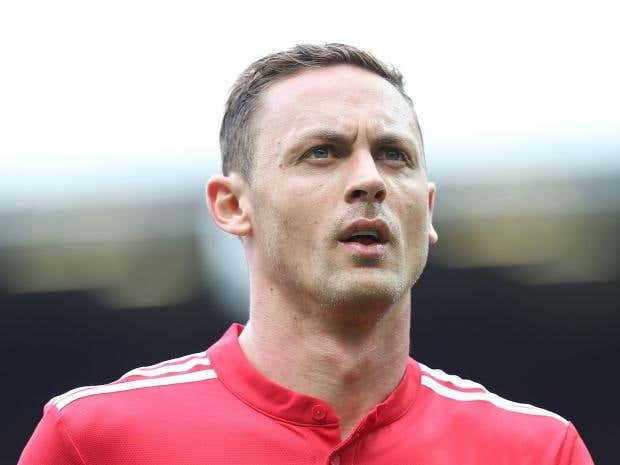 Nemanja Matic said that Jose Mourinho was the main reason that he accepted the move to Manchester United as he enjoyed working under the Portuguese manager during his time at Chelsea. He said that it was him that brought him from Benfica and this is why he accepted to work under him against at Manchester United. 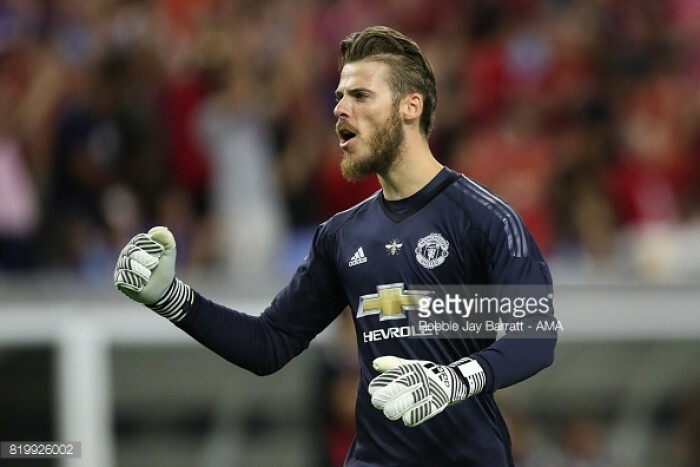 Manchester United boss Jose Mourinho has assured that star goalkeeper David de Gea will remain at Old Trafford despite the continuous link with Real Madrid. The Spain international has been a consistent performer for the Red Devils, and his performances have earned him a place in the PFA Team of the Year for the last three years running. 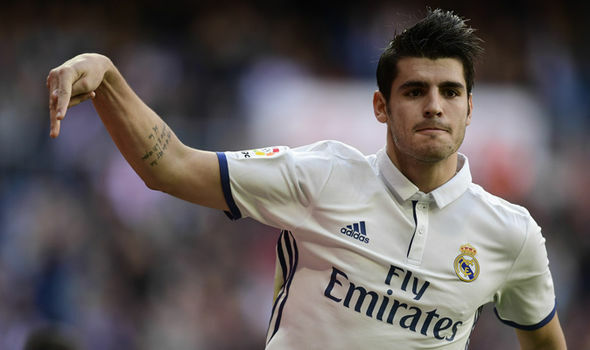 Manchester United head coach Jose Mourinho has revealed that the club could not reach an economic agreement with Real Madrid in order to sign Alvaro Morata this summer. The Red Devils had tabled a £60m bid for the Spain international, but the offer was deemed to be short of Real Madrid's £78m valuation. Manchester United have revived their pursuit of Benfica’s Nelson Semedo amid the uncertainty of Matteo Darmian’s future at Old Trafford. Red Devils boss Jose Mourinho is keen to shore up the right-back position this summer after the club were overly dependent on Antonio Valencia last term. 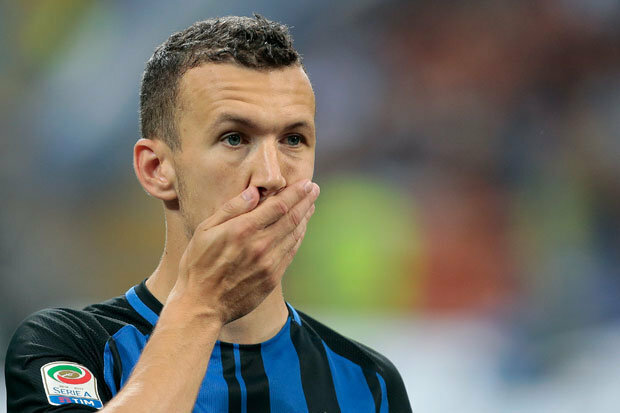 Newly appointed Inter Milan boss Luciano Spalletti has admitted that Croatian winger Ivan Perisic is free to pursue a fresh challenge elsewhere if does not have the desire to play for the club. The former Wolfsburg has been heavily linked with a summer exit from the San Siro as the Italian side look to keep up with their Financial Fair Play targets for the year 2016-17. While any club would be happy with three trophies at the end of a long campaign, the real plus for Manchester United fans was a return to the Champions League. They are back in Europe’s elite thanks to victory over Ajax in the Europa League but the fact that United finished outside of the top four places means that the jury is essentially out in terms of Jose Mourinho’s first season at Old Trafford. The real aim for supporters is a genuine title challenge but to do that, it seems that Mourinho will need extra reinforcements ahead of 2017/18. So, who exactly is in the frame to help the club achieve its targets? World football regulatory body FIFA is investigating the transfer details of record-shattering summer move of Paul Pogba from Juventus back to Manchester United, according to reports. Football Leaks had claimed that the super-agent of the footballer Mino Raiola pocketed as much as £41 million from the deal. The reports stunned the football community and FIFA had to wade in to demand details of the payment. Paul Pogba has been ruled out of the game with Southampton due to the death of his father. The midfielder has been provided compassionate leave from the game. Manager Jose Mourinho has revealed that the midfielder was also left out of the match against Tottenham during the weekend for the same reason. Pogba’s father passed away on Friday and he has not been back in the United set up. Even if he was present in the squad, Jose Mourinho would not have utilised him. The manager has made it a priority to win the Europa League. Manchester United have been struggling ever since the retirement of Sir Alex Ferguson. The club have gone from regular Champions League contenders into a club that even fails to qualify for the competition. The demise from the top positions is certainly surprising considering that United have spent a huge sum of money on new players in the last five years. Even after the appointment of Jose Mourinho, the club spent close to £ 150 million on players like Paul Pogba and Henrikh Mkhitaryan. Yet, there has been little joy in the campaign – even after the League Cup victory – as the club at facing an uncertain future with regard to a top four finish.